For a long time, I have been thinking of writing about the cooperation with the Dutch. It took me a while to come up with any introduction to this subject. I looked with different angles, but none of them was suitable. I was stuck and I’m slowly beginning to realize why. 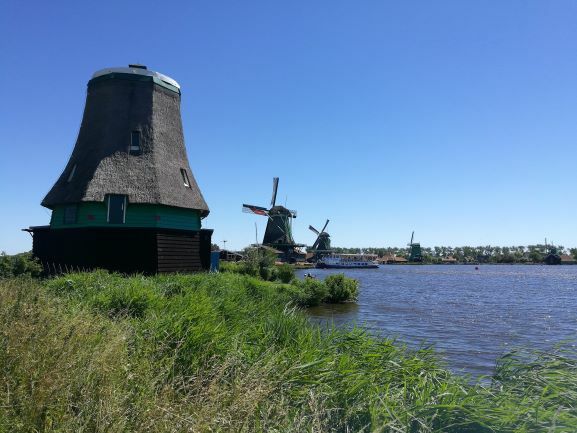 The Netherlands, or actually the Kingdom of the Netherlands, has accumulated so many cultural experiences on its small area that it’s simply hard to choose a specific topic. I decided to start with a mini-test. A non-business test for a change. You’ll find the answers at the end of this article. What is your attitude towards campers (cars) and camping? What is your attitude to mass events? You’re in the canteen and you’re wondering what to order for lunch. You see that your Dutch colleague decided to have a sandwich. What is it with? The Netherlands, located in the north-west Europe between Germany, Belgium and the North Sea, is one of the most densely populated countries in Europe. The name “Netherlands” means “low lands” – almost a quarter of the country’s surface is below the sea level. As a former maritime and colonial power, the Dutch are known for their worldliness and language skills. They are culturally divided between the north and south, and thus they don’t have a strong national culture. Instead, they emphasize and appreciate the cultural diversity of the country, tolerance for differences and openness to foreign influences. Effective business operations in the Netherlands undoubtedly require a thorough understanding of the nuances of the Dutch way of doing business. After 20 years of French occupation, the Kingdom of the Netherlands was established together with Belgium in 1815. Fifteen years later Belgium seceded, forming a separate kingdom, and the Netherlands became the state, which we know today. With a strong tradition of involvement in international affairs, the Netherlands have one of the most open economies in Europe, but it largely depends on foreign trade. They are a large exporter of agricultural commodities and deal with chemicals, refining of crude oil and electric machines. As an open economy, the Netherlands are prone to international development and are based on consensus. A long tradition of negotiations is based on close and regular contacts between trade unions, employers’ organizations and the government. The Netherlands is a member of all major international organizations. Its economic and political center is in the densely populated Randstad region, where the cities of Amsterdam, Rotterdam, the Hague and Utrecht are located. As one of the founding members of the European Union and one of the first country to use the euro, the Netherlands is one of the leading European countries in attracting foreign investment. Understanding Dutch liberal values and the emphasis on efficiency and directness are key to effective cooperation with the Dutch. What does egalitarity mean? It means that all citizens are equal, and each of them is considered valuable and respectful. The opinion of the other person is respected here, even when it is surprising. However, expectations about behavior are completely different. Non-compliance with standards or pretentiousness arouse anxiety in the Dutch, and the so-called “normal behavior” is still widely accepted. “Doe maar normaal dan doe je al gek genoeg” – this traditional conformism can be literally translated as “behave normally, because you are already mad enough”. And how does it look in organizations? Dutch organizations are quite flat, but the roles – unlike in e.g. in Germany – are loosely defined. Because the focus is on egalitarianism, the dialogue between the management and staff is encouraged. Gender equality is also encouraged, so it would seem that women have the same opportunities in the workplace as men. Unfortunately, it doesn’t always look so rosy in practice, however, movements towards strengthening emancipation are visible, and the last elections for the mayor of the city of Amsterdam, which Femke Halsema officially won, are a good example (2018). The emphasis on individualism is closely related to the Dutch egalitarian values and, as results of the Geert Hofstede study show, the indicators measuring this cultural dimension are much higher in the Netherlands (80) than in Poland (60) or in Germany (67). And how is it in practice? In practice, this means that the Netherlands, with a very high score of 80, is an individualist society. It also means that people can behave and express themselves as they wish, as long as they don’t compromise anyone’s freedom. The tolerance for individual differences is an invariable and constant value in the Dutch community. They prefer loosely connected social structures. In societies where individualism plays a significant role, a misdemeanor causes the feeling of guilt and loss of self-esteem, the employer-employee relationship is a contract based on mutual benefits, and the management is the management of individuals. The degree of interdependence between society is a fundamental issue. This is related to the human image defined in terms of “I” or “we”. In societies of individualism, people should take care of themselves and their immediate family. In collectivist societies, people belong to “groups” that take care of them in exchange for loyalty. And although the Dutch are basically a tolerant and pluralistic society, the individuality index is high and the structures are flat, it was the Dutch business that taught me that it is not worth talking about earnings here, you shouldn’t come in into your superior’s office without knocking, and you should never comment on anyone’s look, clothes or origin. The Dutch communicate very directly with each other. In the Dutch society, directness means openness, honesty and clarity between people. Here, for the first time, I came across the word “bespreekbaar”, which has no equivalent in Polish, but means that you can talk about everyone. Regardless of the topic, regardless of who is talking to whom. People are open to conversation. The Dutch usually don’t trust intuition and prefer to rely on hard facts and statistics than on instincts and emotions. Because the Dutch prefer arguments based on rationality, the business proposals should be always supported by facts and figures. Although individual contribution and suggestions are valued, the Dutch attach great importance to consensus. In business, the need for a consensus leads to a rather slow decision-making processes and long negotiations, because everyone’s input has to be considered. As it usually happens in countries where the consensus is appreciated, once the decision is made, it is difficult to change. Cooperation with the Dutch is very pleasant, because each of the above dimensions has a lot of positives. This is also the case while reaching consensus, since the ongoing discussions in the search for it allow for a solid and very accurate analysis of the situation and for taking the most optimal actions, while direct communication means that we may not hear what we want to hear, but we will hear facts. Regardless of how our cooperation with the Dutch looks like or will look like in the future, good preparation and getting to know a business partner is undoubtedly the key to the success in business. Good luck! Would you like to check your knowledge about The Netherlands? Feel free to take the test!